A return to the jazz fusion sounds of the Drive. 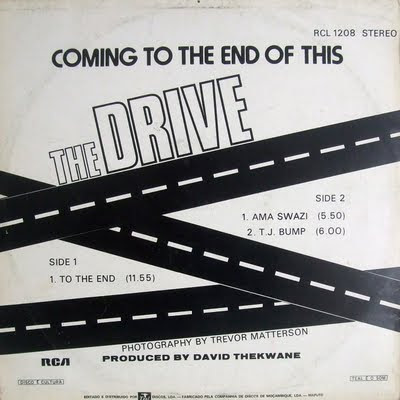 But it's a disturbing cover and title given that both Henry Sithole and Bunny Lithuli came to their end in a car crash under a year later in May 1977. And after that the Drive dissolved with remaining members moving on to Spirits Rejoice, Sakhile and elsewhere. But there are three glorious tracks with the band at the height of their powers. The copy of the album being shared today was manufactured and distributed in Mozambique under a Teal imprint. The urbane tastes of Maputo and Beira residents clearly needed to be met! 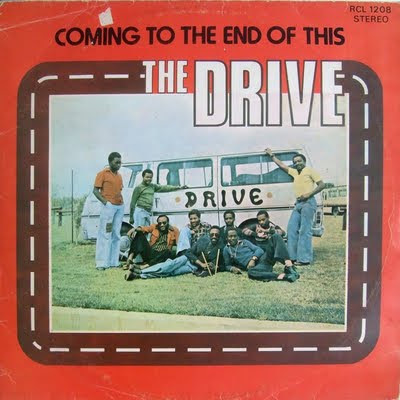 For detailed context and background please visit these earlier posts at matsuli and here at electricjive where a detailed discography is available. Superb! Loved everything from this group you've posted so far, many thanks! I knew of J Sithole through UK issue comps in the 80s, but your selections go so much deeper into the varied styles...wow. I'm aware that the bloggers are a few steps ahead of reissue labels. Lots of times I discover music on a blog and a year or two later it gets an official reissue. Really digging the Movers,too! Fantastic stuff!! Fantastic share, as always. Thanks. Thanks for the link to Matsuli but unfortunately their upload's gone. Hello all, can someone leave a link or links where i could download or stream this band's awesome jams. Thank you very much for the link, you've just made my day! Thanks for the wonderful music. Please help me here. 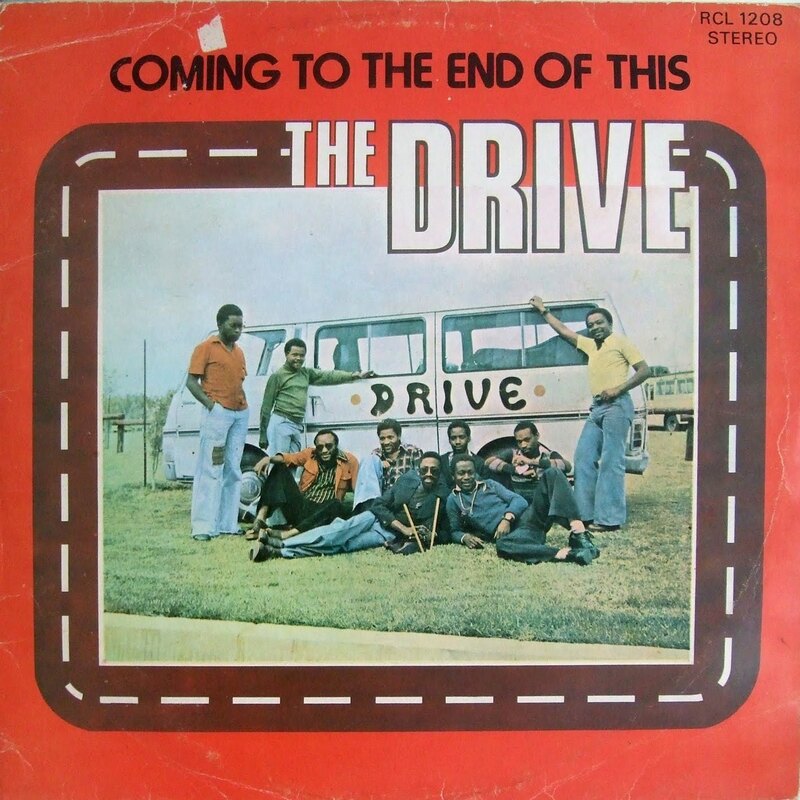 I've heard what I thought was a version of The Drive's "Coming To The End Of This" on radio. The presenter said the track was played by Johhny Oudermeer (If I got it right). He named the track as "Para Two". I could swear that the track was "To The End", and I spent the whole week trying to search Johnny Oudermeer. Can you throw a little light on this dilemma please? Much appreciated as always.